It’s a well-known fact that kids love games. There are the school yard favorites such as a game of tag, hide and go seek and capture the flag. These are a fantastic source of activity and part of a healthy lifestyle. Many kids also love indoor games which can be great at incorporating the whole family for a fun board game night. In the past few years there has also been a rise in the very popular video games for children. These however can sometimes require a higher level of skill and with the cost of the console as well as the various games can be quite expensive.A great game alternative that is both free and fun is YTV games. YTV is known as a television program provider for the youth market; however the online component offers a huge variety of free online games at YTV that can keep the kids entertained for hours. After all with the approaching winter the weather is not always nice to have kids go outside and play without being bundled up, it gets dark much faster these days and sometimes there may not be other kids around for your children to play with. For all of these scenarios YTV games is an excellent and free alternative to having your kids follow you around saying that they are bored. The website offers flash games which are browser based great as they can be accessed from many locations, so you don’t have to drag a gaming console over to the grandparents’ house when you visit. With over one hundred different flash games and video games available you and your child can find something that suits their interest and skill level. These can be accessed at any time, which also makes them very convenient. 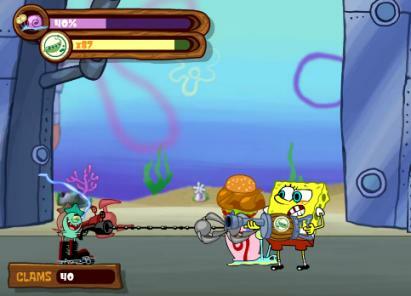 Most of the games are based on the popular television show characters that kids know and love. These include Pokémon, iCarly, a vast Sponge Bob square pants game collection, Fairly Odd Parents and Penguins of Madagascar among many, many more. The players also have a chance to rate the games so that you can choose some that have become very popular or provide feedback on the others that have not peaked your interest. These types of games are good for kids that may have short attention spans, unlike traditional console video games which can have elaborate and long story lines, these games are designed to be a fun and fast distraction. Kids can be easily amused as they switch from one game to another, and there are no difficult maneuver systems that you have to learn. Truthfully the games also provide a fun distraction for adults and are perfect for a little quick mini break. The level of game play and the graphic are great and I did even find myself drawn into a riveting game of duck racing. So if you are looking for a fun distraction (that does not cost any money) for your kids during the upcoming cold winter months consider YTV games.